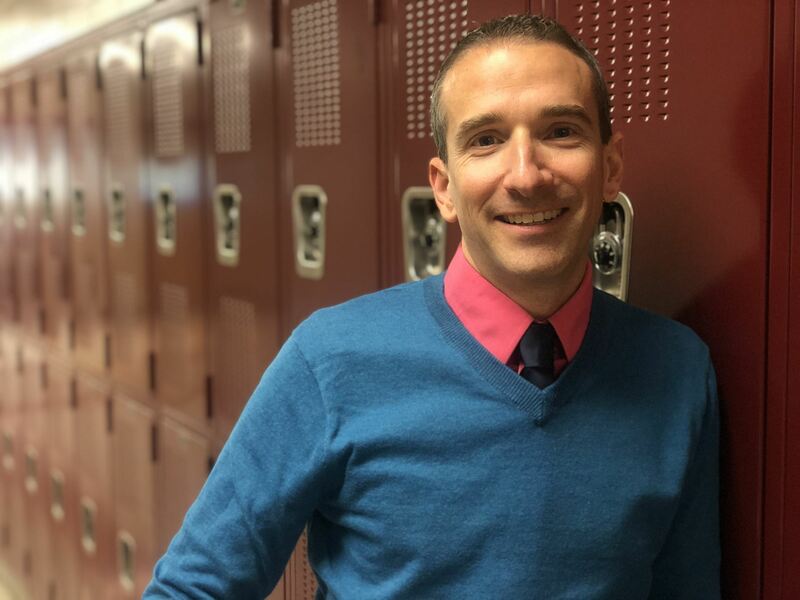 Craig Sheil is currently serving his 16th year in education. He started his career at Monadnock Regional High School as a mathematics teacher. Four years later he was hired for the same position at Bedford High School. He was part of the original staff that helped open up the school 12 years ago. For the past 8 years, he has been the Tech Integrator at Bedford. Craig has helped teachers and students with the transition into a 1:1 digital learning environment using Chromebooks beginning in 2015. Craig is a Google for Education Trainer and a co-leader of the NH Google Educator Group. He also is an adjunct faculty member at Fitchburg State University teaching graduate level technology courses for educators. Outside of the professional world, Craig can be found spending time with family and friends, hiking, relaxing on a beach, or exploring the world. Muriel Hall has worked at Bow Memorial School since 1988. For the past 16 years, Muriel has worked as the Computer Lit/Tech Integration educator and has served on both the district and the school’s technology committee. Ms. Hall is a team leader at Bow Memorial Middle School, going above and beyond as an educator in her field.She is highly certified in her field; Google Apps Trainer: Education, SMART BoardTM Trainer, Intel® Master Teacher, and NYNEX Teachers Teaching Teachers. Her passions are sharing and collaborating to continuously improved her professional practices and her school community. .
Congratulations to Muriel C. Hall! Read the descriptions (found below) for both the Susan Janosz Technology Impact Award and the Pat Keyes Technology-Using Educator Award to decide which award you are nominating for. A brief (250 words or less) description of why this person deserves the award. Once we receive your nomination, we will contact the nominee and they will complete the application process. click on this link to submit your award nomination. 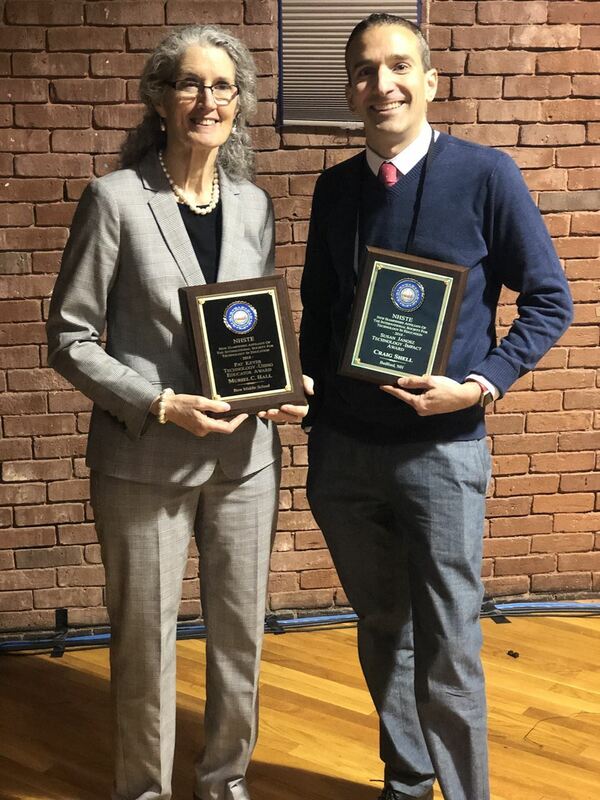 Each year NHSTE recognizes and honors two individuals (one leader and one teacher) who, through their extraordinary work and accomplishments, have made a significant impact in the field of educational technology. A committee reviews award nominees and two winners are selected. Winners will be recognized at the Christa McAuliffe Technology Conference and will receive a $1000 cash prize, a one-year Premium NHSTE membership, acknowledgment from our NH State Governor, and will be nominated for national recognition. We also complete nominations for our parent affiliate, ISTE. 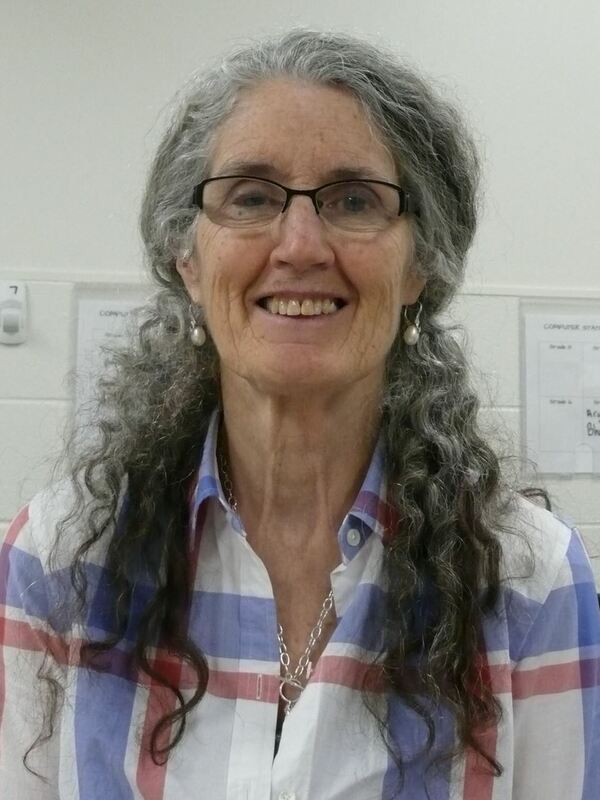 The NHSTE Technology Using Educator Award is named in memory of Pat Keyes; a former secondary teacher in the Keene School District who served NHSTE in many capacities including editor of the NHSTE Connections. Functions as a public or private PreK-12 teacher providing direct instruction in a New Hampshire school(s). Developed effective units integrating educational technology. Demonstrated improved student performance with application of technology. Shared ideas/initiatives in formal and informal arenas using traditional and electronic methods. 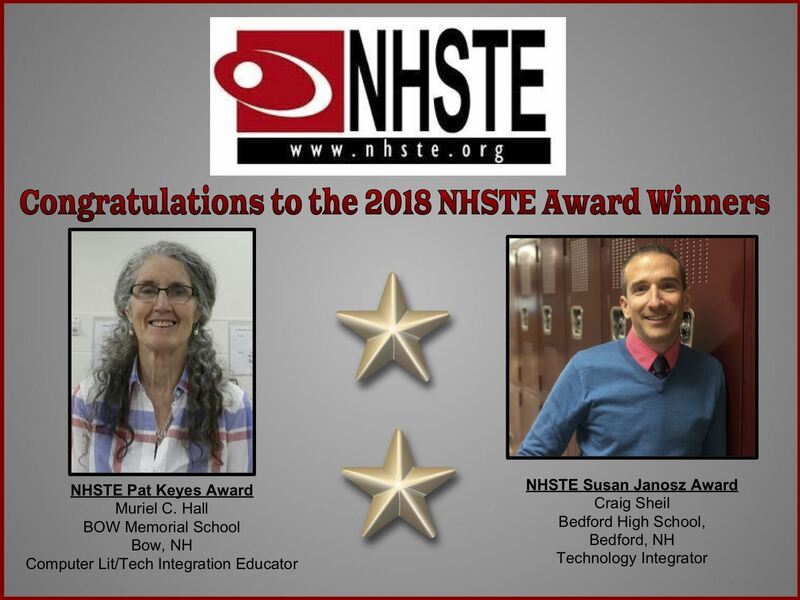 The NHSTE Technology Impact Award is named in memory of Susan Janosz, longtime employee of the Manchester School District who was employed as a Technology Integrator. Provides leadership in a public or private PreK-16 New Hampshire school(s). The nominee's work has had a significant positive impact on technology use in education locally, statewide, regionally and/or nationally. The nominee has involved the community in the initiative or program to facilitate partnerships with business and/or legislative initiatives to advance the use of technology in education. Supported technology within the context of school reform, restructuring and improvement. Demonstrated a commitment to ongoing self-education by keeping abreast of emerging technologies. The quality of education and/or work experience has been significantly advanced in the nominee's workplace as a result of the nominee's efforts. In the past, this award has gone to Technology Directors, Technology Coordinators, Technology Integrationists, Curriculum Coordinators, Media Specialists/Generalists, SAU Administration (i.e., Superintendents and Assistant Superintendents) and/or School District Administrators (i.e., Principals and Vice Principals). A list of previous award winners!